Italy and Austria join growing list of countries banning GMO agriculture. EU Committee Wants to Demolish their right to do so. 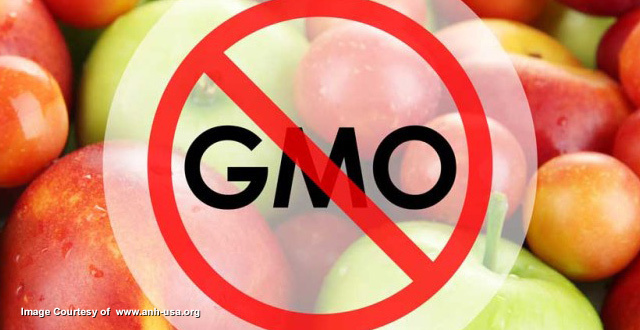 (NaturalNews) European nations are leading the world in rejecting genetically modified organisms in food and crops, with two more countries recently joining the list: Italy and Austria. As reported by Nation of Change, Italian ministries have opted to utilize the newly created European Union rules that permit member countries to opt out of growing GM crops. Austrian officials joined in as well, with both nations making the decision to stop growing eight varieties of GM maize, which essentially amounted to a complete ban on GM crops. The EU’s opt-out regulations were implemented earlier this year. They allow member states to decide on their own if they want to continue using GM crops or ban them altogether. Poland: In 2013, the Polish government actually adopted a regulation that banned GMO farming in the country, well ahead of the EU action. But once the EU approved its regulation giving member nations the right to ban if they chose, that was more than enough authority for the Polish government to act. “Now we no longer have to explain the scientific aspects and we can already relate to social issues,” Polish Agriculture Minister Marek Sawicki said at the time of the country’s ban. Germany: German government officials announced in late September that the country would no longer permit the cultivation of GM crops, as stated by German Agriculture Minister Christian Schmidt. Serbia: State Secretary in the Serbian Ministry of Agriculture and Environmental Protection Danilo Golubovic recently announced the country’s GMO ban. In making the announcement, Golubovic said the decision was based on a desire to improve public health and safety. European nations that have opted out of growing GM crops thus far are Latvia, France, Austria, Cyprus, Lithuania, the Netherlands, Scotland, Northern Ireland, Poland, Germany, Greece, Croatia, Hungary, Slovenia and Italy, Sustainable Pulse reported. The NaturalNews Network is a non-profit collection of public education websites covering topics that empower individuals to make positive changes in their health, environmental sensitivity, consumer choices and informed skepticism. The NaturalNews Network is owned and operated by Truth Publishing International, Ltd., a Taiwan corporation. It is not recognized as a 501(c)3 non-profit in the United States, but it operates without a profit incentive, and its key writer, Mike Adams, receives absolutely no payment for his time, articles or books other than reimbursement for items purchased in order to conduct product reviews. The vast majority of our content is freely given away at no charge. We offer thousands of articles and dozens of downloadable reports and guides (like the Honest Food Guide) that are designed to educate and empower individuals, families and communities so that they may experience improved health, awareness and life fulfillment. Stating a concern that the proposed law would lead to the reintroduction of border controls between GM and non-GMO-growing countries, the European Parliament news service reported that Members of the Environment Committee shot down a draft EU law that would allow member states to restrict or prohibit sales of genetically modified crops. This vote goes against numerous EU states that have made it clear in recent months that they plan to instate total bans on GM crops. A total of 19 EU countries have sent letters to the EP saying that they plan GM bans, citing concern over spoiling agricultural markets, and also the desire to provide their citizens with organic food. Negotiations for the Trans-Pacific Partnership completed: Corporatocracy wins as US Citizens are sold out yet again. It is up to Congress now. We have just witnessed one of the most significant steps toward a one world economic system that we have ever seen. Negotiations for the Trans-Pacific Partnership have been completed, and if approved it will create the largest trading bloc on the planet. But this is not just a trade agreement. In this treaty, Barack Obama has thrown in all sorts of things that he never would have been able to get through Congress otherwise. And once this treaty is approved, it will be exceedingly difficult to ever make changes to it. So essentially what is happening is that the Obama agenda is being permanently locked in for 40 percent of the global economy. 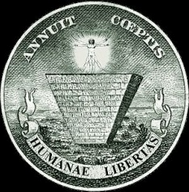 The United States, Canada, Japan, Mexico, Australia, Brunei, Chile, Malaysia, New Zealand, Peru, Singapore and Vietnam all intend to sign on to this insidious plan. Collectively, these nations have a total population of about 800 million people and a combined GDP of approximately 28 trillion dollars. 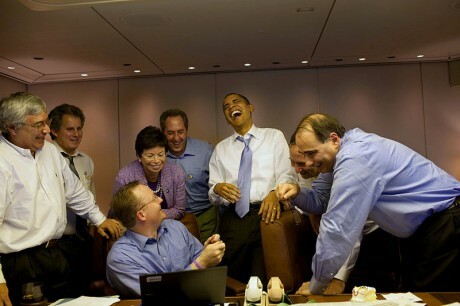 In hailing the agreement, Obama said, “Congress and the American people will have months to read every word” before he signs the deal that he described as a win for all sides. “If we can get this agreement to my desk, then we can help our businesses sell more Made in America goods and services around the world, and we can help more American workers compete and win,” Obama said. Sadly, just like with every other “free trade” agreement that the U.S. has entered into since World War II, the exact opposite is what will actually happen. Our trade deficit will get even larger, and we will see even more jobs and even more businesses go overseas. Once again the corporatocracy wins as the so-called “Trojan horse” Trans-Pacific Partnership (TPP) trade agreement has been finalized. As WSJ reports, the U.S., Japan and 10 countries around the Pacific reached a historic accord Monday to lower trade barriers to goods and services and set commercial rules of the road for two-fifths of the global economy, officials said. For the U.S., the TPP (reportedly) opens agricultural markets in Japan and Canada, tightens intellectual property rules to benefit drug and technology companies, and establishes a tightknit economic bloc to challenge China’s influence in the region (likely forcing their hand into separate trade agreements). However, Obama is likely to face a tough fight to get the deal through Congress(especially in light of presidential candidates’ opposition). The US, Japan and 10 other Pacific Rim economies have reached agreement to strike the largest trade pact seen anywhere in two decades, in what is a huge strategic and political win for US President Barack Obama and Japan’s Shinzo Abe. We continue to hear superlatives even as the evidence suggests the trade impact will be trivial. For example, the New York Times reported that US tariffs on Japanese cars will be phased out over 30 years. Wow! The most optimistic growth estimates show a cumulative gain by 2027 of less than 0.4 percent, roughly two months of normal GDP growth. 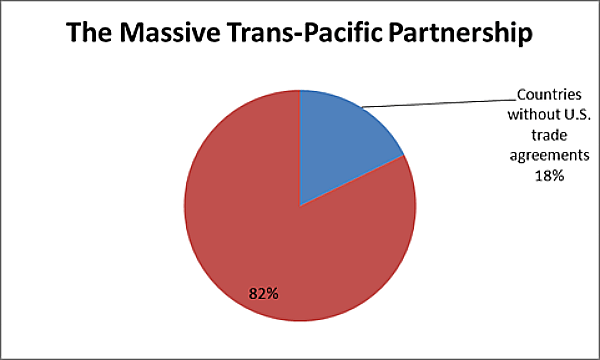 This doesn’t mean that the TPP can’t have an impact. It will lock in a regulatory structure, the exact parameters of which are yet to be seen. We do know that the folks at the table came from places like General Electric and Monsanto, not the AFL-CIO and the Sierra Club. We also know that it will mean paying more for drugs and other patent and copyright-protected material (forms of protection, whose negative impact is never included in growth projections), but we don’t yet know how much. We also know that the Obama administration gave up an opportunity to include currency rules. This means that trade deficit is likely to persist long into the future. This deficit has been a persistent source of gap in demand, leading to millions of lost jobs. We filled this demand in the 1990s with the stock bubble and in the last decade in the housing bubble. It seems the latest plan from the Fed is that we simply won’t fill the gap in this decade. Economist Dean Baker is co-director of the Center for Economic and Policy Research in Washington, DC. A version of this post originally appeared on CEPR’s blog Beat the Press (10/6/15). Translation of the above quote: Obama will bypass Congress and make global warming decisions for the future of America through executive fiat. Poverty, hunger, climate change. Solving these problems is the announced objective, tying together Obama, the Pope, and the UN. A moment’s reflection reveals the absurdity of their high-flying rhetoric. Would you trust these three to reduce poverty in the world, when none of them can point to a single prior success in drastically reducing poverty in any nation in the world? They want the population of planet Earth to submit to their strategies based on a zero track record. National Endowment for Democracy (NED), the US Empire’s “stealth” destabilizer. What has the NED been up to in Venezuela? 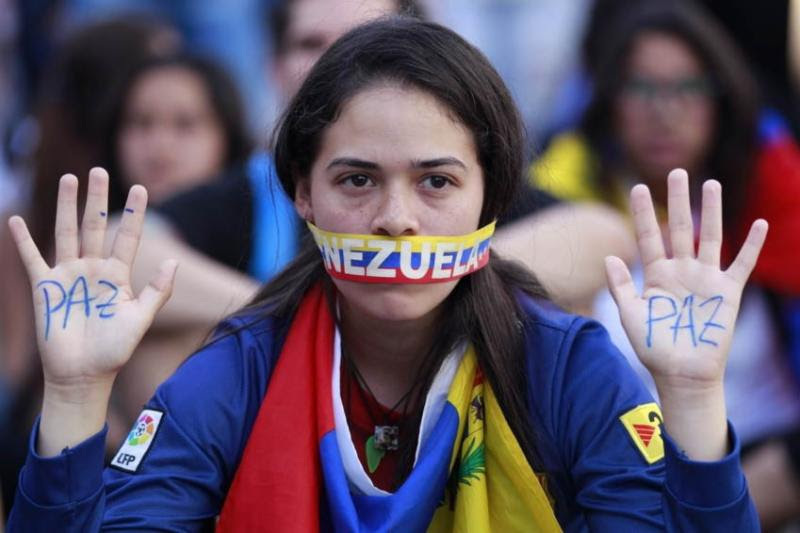 As protests have been taking place in Venezuela the last couple of weeks, it is always good to check on the National Endowment for Democracy (NED), the US Empire’s “stealth” destabilizer. What has the NED been up to in Venezuela? Before going into details, it is important to note what NED is and is not. First of all, it has NOTHING to do with the democracy we are taught in civics classes, concerning one person-one vote, with everyone affected having a say in the decision, etc. (This is commonly known as “popular” or grassroots democracy.) The NED opposes this kind of democracy. Originally published on State of Nature, May 19, 2008. Republished by Michael Barker with additional links. Unfortunately, my attempts to produce reflection did not bear fruit from Professor Zunes who, rather than addressing the substance of my criticisms, ‘responded’ with accusations of “absurd leaps of logic”, concluding that he “wonder[ed] whose side Barker is really on”. This was disappointing as the criticisms of Zunes’ connections with the International Center for Nonviolent Conflict had been explicit and my intention had been to promote this vital critical reflection amongst the Left, especially with regards to their reliance upon funding from The Power Elite. Such funding questions are especially relevant with regards to the work of the International Center for Nonviolent Conflict, as their work is funded by Peter Ackerman and his wife Joanne Leedom-Ackerman, whose work has anti-democratic aspirations. In a brief video on the Obama administration-pushed nationalization of education through Common Core standards, part of an ongoing series about the scheme produced by The New American, veteran educator Mary Black highlights yet another troubling element of the national educational agenda. Considering the teaching styles and the standards themselves, she explained, Common Core could lead to potentially disastrous effects for future generations of Americans and the nation itself. According to Black, who has 40 years of teaching experience and became an expert on Common Core amid her tireless efforts to expose it, schooling under the controversial standards amounts to teaching students what to think — instead of how to think. For America, that means big problems in the future, because the perpetuation of liberty and self-government requires citizens who know how to think critically and independently. In the short video, Black draws attention to some of the many alarming facets of Common Core. Among the concerns: The fact that the standards are copyrighted by the National Governors Association (NGA) and the Council of Chief State School Officers (CCSSO). That means the public will have “no chance to change and alter them,” explained Black, who also serves as the student development director for FreedomProject Education, an online K-12 school offering a classical education based on Judeo-Christian values rather than Common Core. The dangers, however, go even further, she said. The United States, with its government founded upon the U.S. Constitution, requires an educated population — citizens capable of thinking and reasoning logically and independently. “The danger of a group of students, such as we’re educating now, not having this ability — being dependent on being told what to think and being led rather than acting independently — is a true danger to our country,” she said. The teaching methods themselves, meanwhile, are also highly problematic, Black explained, pointing to those used in math as another example. Dubbed “Pair and Share,” the scheme involves having students teach and share math concepts with each other. “The idea of Pair and Share is very socialistic in nature, because, again, students are being told what to think — not how to think — and are not developing that independence of standing up for the answer that they believe is correct and to rely upon their own God-given abilities,” Black said. PTA Loves Common Core. PTA Members, Not So Much. 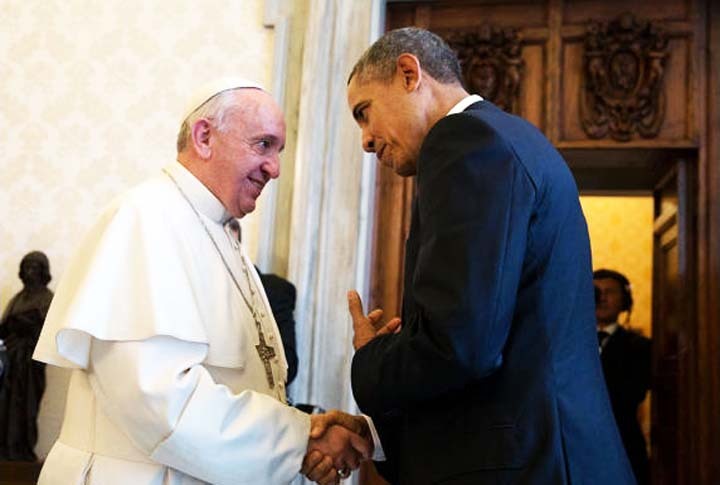 Over the last decade the global elite have been on a mad dash to consolidate power over the world. It looks like Karma is coming for the elite in a big way. Karma is coming for the elite in a big way. As the Powers That Be head toward a devastating defeat in their war plans for Syria, signs are emerging that their rule over humanity is rapidly diminishing. Over the last decade the global elite have been on a mad dash to consolidate power over the world. It’s always been their plan like some evil villain in a comic book, but after 9/11 the plan went into overdrive and then turbo charged during the financial crisis of 2008. Yet it’s doomed to fail because humans are meant to be guided by their own free will, not controlled like livestock. The more the elite try to control humanity, the more entropy occurs. Entropy, for those who don’t know, is the lack of order or predictability; a gradual decline into disorder. Although the elite still enjoy a huge wealth advantage over the masses, they are now resigned to behaving like tyrants to maintain control. This, in turn, exposes their dark side which has been cleverly concealed for ages. Not anymore. 1. Official lies no longer effective: The lies they tell simply don’t work anymore. There was a time when official lies, especially about war and peace, were believed. Because, after all, how evil would it be to lie about such things? Generally people want to believe they are being told the truth when life and death is at stake. The boy who cried wolf has cried one too many times. Even if they told the truth at this point, very few would believe them. 2. No confidence in politics: US politicians have a paltry approval rating. The trust in government is at all-time lows here and around the world. Mainstream polls show only 10% of the public has confidence in Congress. In other words, 90% don’t believe in them to be competent to govern. 4. Bankers rejected: Hungary recently became the first country to follow Iceland’s lead by shedding international bankers (IMF) and is considering pursuing prosecution of past prime ministers who enslaved the people with debt. Hungary is about to pay off its debt to the International Monetary Fund and then wants the creditor gone. The country was saved by Washington-based group with $25 bln loan five years ago but isn’t renewing the aid in order to avoid closer scrutiny of its policies. Alexey Yaroshevsky looks at how Budapest is cutting loose. (Truthstream Media.com) During a discussion panel in Arizona State University’s Biotech department that took place on February 2, 2012, the inventor of genetically engineered edible vaccines joked about wiping out 25% of the population with a genetically engineered virus. Dr. Charles Arntzen, head of The Biodesign Institute for Infectious Diseases and Vaccinology, responded to a question pertaining to whether feeding the 8 billion people of the world was worth it, or whether population reduction should be pursued. If not downright creepy and nihilistic, it is surely poor bedside manner to joke about depopulating the masses of the planet via an engineered virus when he and his department are actively involved in tinkering with such stuff. The Ebola vaccine, while overtly for defensive measures, is the natural research companion to weaponized Ebola viruses that have been refined over the years by military researchers, including those in the United States, and classified as a Class A bioweapon. ROCHESTER, NY — The Transportation Security Administration (TSA) has now expanded its intrusive searching protocol to include the interior of parked cars left at the airport. One woman in Rochester alerted News10NBC that she had been left a note from the TSA on her dashboard, notifying her that they had entered her car to look around. TSA agents had apparently opened up her locked car using the key she left with valet parking attendants. TSA officials said that they conduct a 3-phase trespass in your private property. They inspect the trunk, engine, and scan the interior of the car. Has the TSA Searched Your Car? Yet? Do You Still Believe Agenda 21 Is Simply A Tin Foil Hat Conspiracy Theory? Think Again. Citizen Approval Is Neither Desired Nor Is It Required. Coming To A City Near You , Courtesy Of Crony Capitalism ! This is a true Citizens Town Hall, sponsored and paid for by Heather Gass and donations from the concerned citizens who attended. 45:48 – Send PBA to public vote? 48:52 – Trucks on I-580? 53:50 – Population & Jobs projections? 56:54 – Allow public vote? 59:34 – how is this being done statewide? In short, the proposed 2030 General Plan calls for rezoning 10 downtown acres as high-density development, with 20+ units per acre. This would open the doors for landowners and developers to rebuild the properties. This public hearing is being held within the 45-day period to receive public testimony on the Draft EIR. NOTE: The supporters of this type of planning are well organized. They have been on the “inside” of the planning process for years. They have the unelected city planners on their side. They will be pushing to adopt these policies that interfere with private property rights. Unless we show up in force, they will win the day. Russia has blasted the European countries which barred the Bolivian presidential aircraft from entering their airspace as unfriendly action, adding that such moves could compromise passengers’ safety. “The actions of the French, Spanish and Portuguese authorities could hardly be seen as friendly towards Bolivia and towards Russia, from which the Bolivian President Evo Morales was leaving upon completion of his Moscow visit. The refusal to grant the aircraft the right to overfly could create a threat to the security of its passengers, including the head of a sovereign state,” reads the statement released by the Russian Foreign Ministry on Thursday. Russian diplomats added that they will continue to press for unconditional observation of international rules that guarantee the personal immunity of heads of state that prevent any attempts on their life, freedom and dignity. On Wednesday, the Bolivian presidential aircraft had to land in Vienna, Austria, and remain grounded for 12 hours as France, Spain and Portugal closed their airspace for transit over a suspicion it could have been carrying NSA leaker Edward Snowden. Bolivia immediately called the grounding an act of aggression, accused the US authorities of backing the unfriendly move and promised to file a complaint with the UN. “We’re talking about the president on an official trip after an official summit being kidnapped,” Bolivia’s Ambassador to the United Nations in New York, Sacha Llorenti Soliz, told reporters in Geneva on Wednesday. 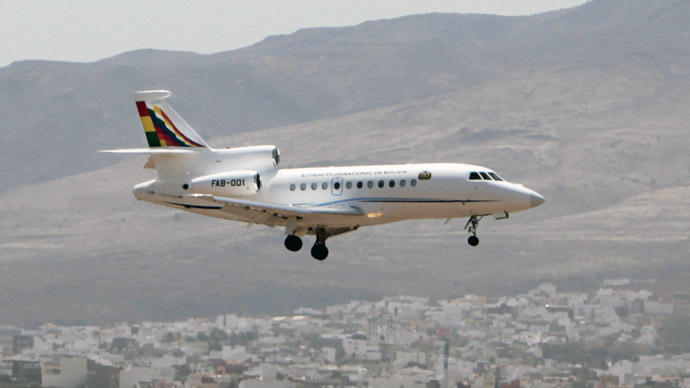 The forcing down of the Bolivian President’s jet was a clear breach of the Vienna Convention by Spain and Portugal, which closed their airspace to this Head of State while on a diplomatic mission. It has never been thought necessary to write down in a Treaty that Heads of State enjoy diplomatic immunity while engaged in diplomacy, as their representatives only enjoy diplomatic immunity as cyphers for their Head of State. But it is a hitherto unchallenged precept of customary international law, indeed arguably the oldest provision of international law. To the US and its allies, international law is no longer of any consequence. I can see no evidence that anyone in an official position has even noted the illegality of repeated Israeli air and missile strikes against Syria. Snowden, Manning and Assange all exposed illegality on a massive scale, and no action whatsoever has been taken against any of the criminals they exposed. Instead they are being hounded out of all meaningful life and ability to function in society. And Why Shouldn’t The US Tell The Austrians To Search The Plane Of The Bolivian President? Bolivian President Evo Morales Strikes Back At the Empire – Bravo!